Imperial Barrington Marble Fireplaces is in stock and on sale. Can be made custom. 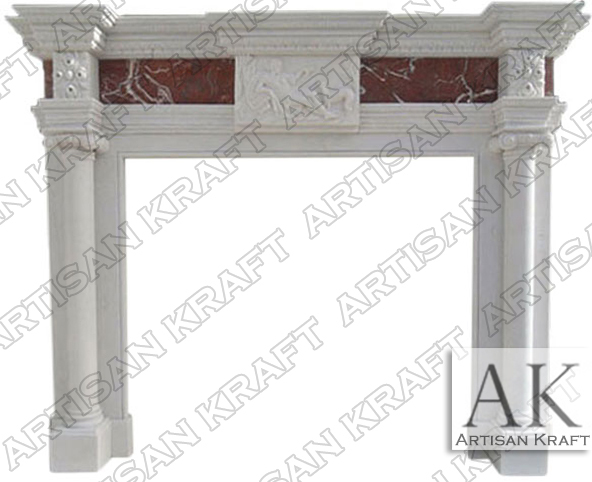 This mantel has a royal feel with its marble columns on either side. Handcarved details in the shelf and the white frieze. Woman pointing at her dog. Imperial Barrington is made from red and white marble. Low price means this surround will sell fast. Comes with inner panels to come up the firebox and hearth.